NOTE: 11 NEW PICTURES THIS WEEK! CLICK ON THE PICTURES TO THE RIGHT TO VIEW THE PICTURE ALBUM. Well as for this giant capasitation; the changes aren’t really that extreme however they are changing the way that they are going to teach new missionaries. We are getting the new MTC teaching materials and the lessons in 4 days. These changes will take place in the MTC in May of next year. So i think this training is going to help the new missionaries be a lot better than the old training. Apart from that there isn’t much going on; I mean I’m in Bahía Blanca and in an area working for like 3 hours every day and nothing more. 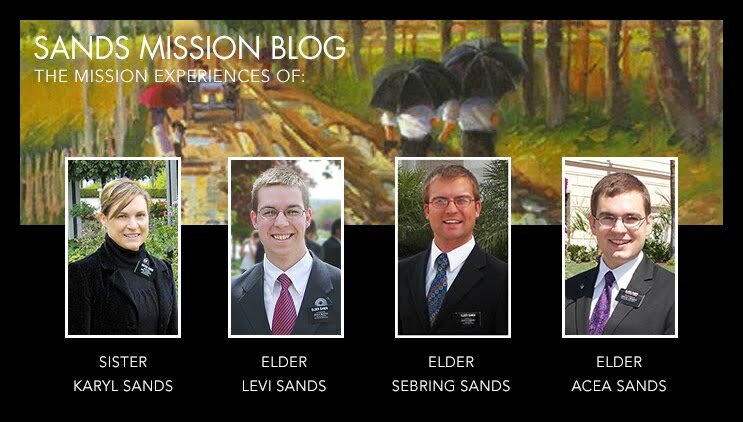 It’s really great to see all of these other missionaries that I look up to so much. So that’s really all that’s going on. My new comp is great he’s from Asunción Paraguay and is really a great missionary and he knows a ton for how much time he has in the mission! That’s a huge help to me that’s for sure. We did get to teach Luis but he couldn’t come to church because he had to work so the waiting game continues but he’s really great. He already has a testimony and he wants to be baptized so he’ll just have to wait a little bit longer to do that but he’ll get there. Also we taught a man named Mario on Sunday. I’ve been waiting to teach him for a long time. He’s pretty much is sprit perfect and ready to receive the gospel but he’s got a lot of situational challenges to joining the church because he works almost every Sunday he doesn’t have any support in the family but he’s really great. I really hope that what we taught him is enough for him to get his answer and then from there have the strength from there to be an example to his family and start to receive the fullness of the gospel. Other than that we’ve talked with a ton of people. One story a little that’s a bit funny I think is we were doing contacts in a busy part of town and we were led by some guy or rather directed to another street to talk to a couple of people so then a police come up and asks us if we have ID well as were taking it out he says into his radio the street corner that we were on and 20 cops show up in like 3 minutes! It was crazy! Nothing happened but none the less it was a little bit unexpected! Well anyway thanks everyone and have a great week! This next week that I have to go to Bahía so I'll tell you about it next week. My new comp is awesome! Elder Vazquez from Asunción Paraguay. We're working like crazy and I'm really enjoying that. Here in Miramar things are good! We taught a guy named Luis that is great and I really think he's going to get baptized. He works every other Sunday so he'll come this Sunday and then hell be on date officially. Well sorry it's so short again this ciber is from the dark ages of computers it seems. This week and next week are have and are going to be really different. These past two days I've had a companion from Mar del Plata that is a member because my companion Elder Vázquez from Paraguay is getting here late tomorrow. Then next week I go to Bahía Blanca for a three day training meeting that about half the mission is going to. So now with the change in companions we've done a ton the last two days. It's amazing what you can do when you're with someone who really wants to work! We taught a guy Luis and his son Eziquiel and they ate it all up also there is a reference we got for a guy that is from Nashville. We're working a lot and well it's great today as we went to Puerto or the big port here in Mar del Plata and I got soaked. There have been a lot of storms the past few days and the waves were really big and man it was crazy on the other side of the giant sea wall that they have here! It was way cool. I also went to the sea lions again. Way fun. Recently, I was trying to explain to a new convert that we can learn from anyone if we have the spirit. There was a talk that I heard by President Eyring from when he was a seventy called "Listen Together"; great talk. Really, we can learn something from anyone, even those that aren't doing what they preach. If it's something good that is coming out of their mouths, we should listen and apply it to us. And it doesn't matter how young or old they are either. I'm going to try and get a copy in Spanish for him. Well I have to go but thank you all for everything and have a great week! NOTE: 14 NEW PICTURES THIS WEEK! CLICK ON THE PICTURES TO THE RIGHT TO VIEW THE PICTURE ALBUM. Wow lots of stuff happening back home! So first off, Happy birthday Dad! Thanks so much for everything. I don't think i told you this but as this last general conference was all about the families I noticed a lot of things that you and mom have done to bless our lives with the blessings of the gospel. Especially when Elder Bednar said bear testimony spontaneously, I thought, that is so dad! Thank you so much! So as for down here lots and lots of rain! Lots and lots up very upset argentines; the fact that they lost hurt them a lot and the fact that they lost 4 to 0 was even more of an ego blow for them so there's like a sadness that you can feel. As for the work, it's going. We have many investigators but we have the problem of getting them to church and there are a lot of them that have great ties with this one family of less-actives members. If we could activate them, a lot of people would get baptized with their help. So we now have a bit more information on why they stopped going and it's understandable, so we have something prepared to give them that should help them come back and understand some things. Well apart from all these things going on, as usually there is lots of walking, lots of talking and lots of people that need the truth.